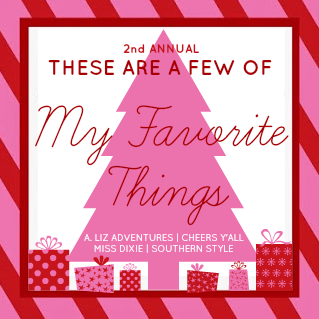 Time for installment number 2 of the Favorite Things Linkup series and today's focus: Stocking Stuffers. This category is so fun bc really your only constraint is size! 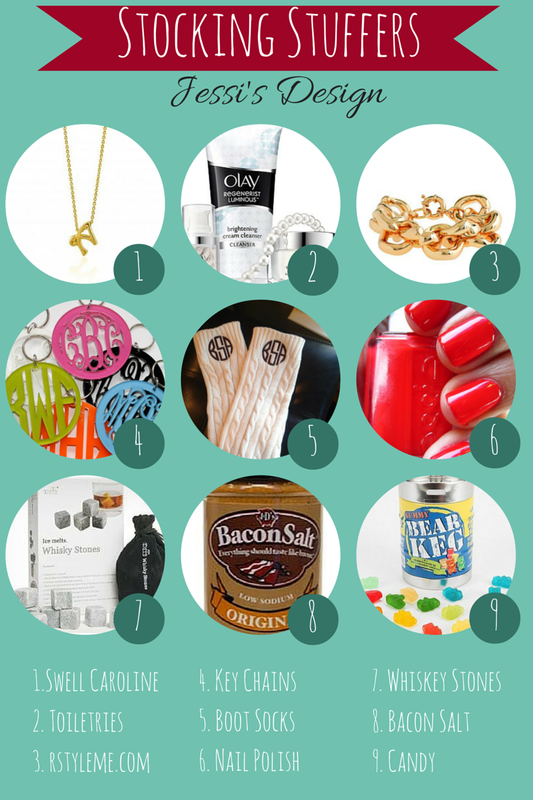 Here are a few of my basic favorites and also some fun stuff for the men folk in your life. Bacon salt?? I need to investigate this further! Hope you're having a good week, girl!! I need to get me some cute boot socks! And what is bacon salt?! I've never heard of that. I love those monogrammed boot socks! Such a great list!! Whiskey Stones would be perfect for the hubs and Bacon Salt - - Why do I not know about this?!!! Love all of these!! It's true, you really are only constrained to size of gifts... Which still makes it hard for me sometimes when picking out stuff for Matt! Haha! Love those boot socks! Perfect list! 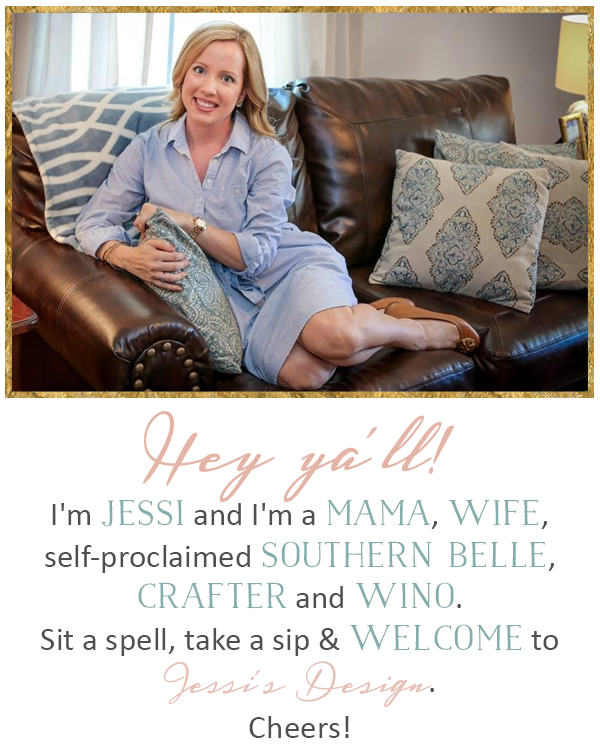 Great picks Jessi, how cute are those key chains!? Ooh loving all the good eats and nail polish! Want! The polish and the key chains are an excellent idea! Thanks for sharing! Those monogrammed boot socks are just too adorable! Love your picks! These are great ideas! I want that bacon salt! We really go all out with stockings. It is one of the things I most look forward to on Christmas morning bc my hubby gets so creative with mine! Stop it right now - bacon salt?!? And yes to nail polish! The perfect go to gift for any girl! Great stocking stuffer ideas. Love everything especially that necklace. the swell caroline necklace is SO adorable! Awesome picks, lady! you have such great taste! Such amazing stocking stuffers! Never in my life have I heard of bacon salt!! Haha i'll have to try it. SO many amazing things but wait... bacon salt?!?! WHAT?!?! Yum!! Great picks! I got that J. Crew link bracelet a few years ago for my birthday and wear it ALL the time! Bacon salt?! What the what? !